- CAD retreats after Retail sales slide in Black Friday month of November. 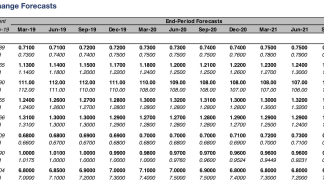 - CIBC says GDP likely contracted in November and slowed in Q4 2018. - ING Group says growth to slow in 2019, but BoC will still hike rates twice. The Canadian Dollar gave up earlier gains Wednesday after official data revealed a steep slump in retail spending during the Black Friday period of November, which some say implies and economic contraction for that month. Wednesday's data also adds to a growing body of evidence suggesting growth is decelerating more broadly, potentially strengthening the case for the Bank of Canada (BoC) to sit on its hands for a while before raising interest rates again. Retail sales fell by -0.9% during November, more than reversing the meagre 0.2% gain seen in October, when markets had looked for only a -0.6% decline. This was mostly the result of a steep fall in car sales, although Statistics Canada also reports that retailers' takings were down in six out of 11 subsectors. After excluding cars from the numbers, sales were up by a meagre 0.2% and in volume terms rather than value, sales were down -0.4% for the month. "That's somewhat surprising given that in addition to healthy employment readings and falling gas prices, there has been a trend in recent years toward more holiday shopping occuring in November and less in December," says Royce Mendes, an economist at CIBC Capital Markets. "Black Friday" discounting happens in November. In recent years it's encouraged a trend that now sees households do Christmas shopping earlier than December, but doesn't appear to have happened in Canada last year. Currency markets care about the retail data because of the impact rising and falling demand has on inflation. It's changes in consumer price pressures that central banks are attempting to manipulate when they tinker with interest rates, which are themselves the raison d'être for most swings in exchange rates. Changes in interest rates, or hints of them being in the cards, are only normally made in response to movements in inflation but impact currencies because of the push and pull influence they have on international capital flows and their allure for short-term speculators. "Combined with yesterday's disappointments on manufacturing and wholesaling, the economy looks likely to have shrunk slightly in November, taking our fourth quarter tracking forecast down to around 1%. Today's retail sales figures will have the Canadian dollar trading weaker and bond yields lower," Mendes adds. The USD/CAD rate was quoted -0.07% lower at 1.3347 following the release after rising from 1.3315 previously, as the Canadian Dollar weakened. It's now down -1.81% for 2019 after falling -3.5% at the beginning of January. "Yesterday’s close above resistance at 1.3323 shifts the focus up to 1.3370 and 1.3463 next , with support at 1.3323 and 1.3256," says Adam Cole, chief currency strategist at RBC Capital Markets. The Pound-to-Canadian-Dollar rate extended gains to trade 0.62% higher at 1.7410 in the wake of the release, and has now erased all of its 2019 loss after rising from 1.6756 in early January. "The key resistance point for the cross is the Dec 28th high at 1.7495. Shorter-term trend studies are improving somewhat but longer run [direction] signals are flat or bearish at best. 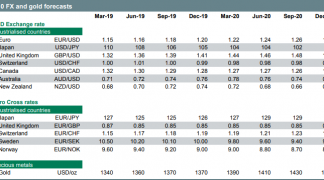 The GBP still has its work cut out to rally and we continue to think that gains are unlikely to stick," warns Eric Theoret, a technical strategist at Scotiabank. "Auto sales were likely weighed down by rising interest rates. It’s hard to see spending on those items rebounding in 2019 as we expect further interest rate hikes (though at a slightly slower pace than in 2018) and another year of subdued home sales," says Josh Nye, an economist at RBC. Canada's Dollar is at an inflection point, which has seen it caught between the crosswinds of a supportive recovery in oil prices and a downdraft coming from a bombed-out Bank of Canada narrative on interest rates. Economic data and oil prices will be pivotal to what the Bank of Canada and Canadian Dollar do over the coming weeks and months. The Bank said earlier this month it will raise rates at a slower pace in 2019 than it did last year. It wants time to observe what happens in oil markets, how the economy responds to recent falls in prices and the impact last year's three rate hikes will have on households. "Households in general will face pressure from rising debt service costs, including continued pass-through of earlier rate increases. Consumer spending added 2 ppts to GDP growth in 2017 but just 1.3 ppts last year. We think the contribution will be less than 1 ppt this year," warns Nye. The BoC became cautious after collapsing oil prices and unease over the impact President Donald Trump's "trade war" will have on the global economy forced it to mark down GDP forecasts for the final quarter and for 2019. But the bank had previously said it intended to lift its interest rate all the way up to the so-called neutral level in 2019 and 2020, which it estimates to be between 2.5% and 3.5%. The cash rate is currently at 1.75%. "Canada’s 1Y swap rate has been experiencing downward pressure. 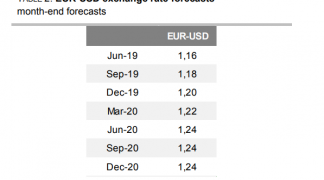 It currently (below) indicates there’s around a 60% chance of one full rate hike in the coming year, whereas back in October, markets had two full rate hikes priced in," says James Knightley, chief international economist at ING Group. Above: Market-implied Canadian interest rate in December 2019. Source: ING Group. Wednesday's poor retail data, and other dire economic figures, could yet turn out to be nothing more than a hangover from a time when now-stable oil prices were falling through the floor and the U.S.-China trade war looked to be escalating and at risk of causing a sharp global downturn. However, the deteriorating economic performance could also turn out to be more than that in that some highly indebted Canadian households could now be struggling to cope with the five rate hikes announced by the Bank of Canada since the middle of 2017, which have taken the policy rate from 0.5% to 1.75%. If it turns out the latter scenario is correct, then the BoC may struggle to lift its interest rate again and the Canadian Dollar could suffer as a result in 2019. "A slowdown is on the horizon, but it won’t come as a surprise – nor will it be extensive," says Knightley. "We see a rate hike in both the third and fourth quarter, but believe the risks are skewed to the downside, especially given our view that the Fed is likely to moderate policy tightening in the US."